In a world of almost 7 billion how can one person has a voice that can be heard? Can you or one person really make a difference or effect change? Our speakers at this event will talk about the power or social media in making a difference. How careers can be started with a PC or causes brought to the attention of the wider population by one person. How campaigns can be launched and how the power of people can create change. How social media can be used to set your social or business venture apart and what in some cases should we not do! Rupa is the co-founder of Men’s e-commerce site Yes-Sir.com, which sells men’s grooming and health essentials and helps men to discover new brands and products. She is also co-founder of Brand us Social, brandussocial.com, which organises Social Media and Digital conferences for the fashion and beauty industry with leading industry speakers including Net-a-Porter, Facebook, Google and Twitter. 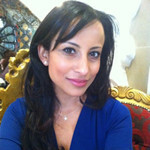 Farzana is the founder and managing director, Curzon PR, a London-based strategic public relations and digital communications agency working across arts, culture, business and policy in growth markets. 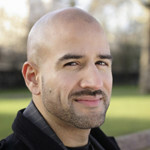 Prior to establishing Curzon, Baduel was Advisor to the London Development Agency and Enterprise Insight on enterprise issues in 2006. She is the former Vice-Chair of Conservative Business Relations and an advisor to the Malaysian ruling political party Barisan Nasional . 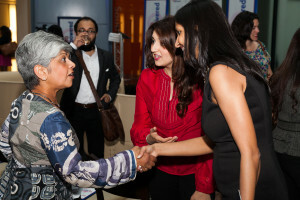 Sunny is British journalist, blogger and an academic. He is best known as the former editor for the UK’s most popular centre-left blog ‘Liberal Conspiracy’, and ‘Asians in Media’ magazine. He is author of “India Dishonoured: Behind a nation’s war on women”, published by Guardian Books last year. Sunny has written for publications including The Guardian, The Times, The Financial times and The Independent, and is noted for his messages on Twitter. He is also a Journalist-in-Residence at Kingston University. Sunny will be talking about how the internet and social media can be extremely useful in making a name for yourself or promoting your cause. He has been a web journalist for ten years and will be talking about what he’s learnt from the industry and how it can help them. 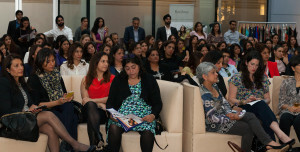 Thursday June 5th saw the latest event held by Women Empowered. The theme for the night was on how one could harness the power of the internet and social media and posed the question that in a world on 7 billion people can one person really have their voice heard? The speakers for the evening were Rupa Ganatra who is the co-founder of Men’s e-commerce site Yes-Sir.com and brandussocial.com, which organises Social Media and Digital conferences for the fashion and beauty industry, Farzana Baduel is the founder and managing director, Curzon PR, a London-based strategic public relations and digital communications agency and Sunny Hundal, author, journalist, blogger and academic. He is best known as the former editor for the UK’s most popular centre-left blog ‘Liberal Conspiracy’. Rupa Ganatra talked about the use of social media in the recent electoral campaign of Narendra Modi in India and how he was engaging and having a conversation with millions of people every day through its use. She emphasised how one must engage with their clients and customers; always using relevant interesting content and ensuring 80% of your post was content and 20% a sales pitch. From banker to internet entrepreneur she spoke about how she ensured that content was fun, applicable and interesting on her sites and that people should take advantage of analytical tools available to them and how many are inbuilt into many sites free for consumption. 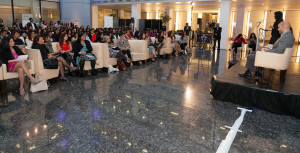 Farzana Baduel provided a full and insightful talk into social media and the benefits to the business. She said that often for certain businesses social media may not generate leads or revenue, but it is a medium for communication with your clients. There are other avenues to generate credible sales leads such as Search Engine optimisation and one should not be put off or afraid of utilising them. She went on to say that in her opinion twitter is like having a baby. You cannot have it and leave it, it is a long term relationship with a huge learning curve. She herself had gone full circle from disliking and not understanding the platform to loving it! Farzana specialises in social media for her company as well as for her clients in an interesting, applicable and with a tailored view and each campaign must be seen with fresh eyes and looked at in an imaginative way to maximise effect. 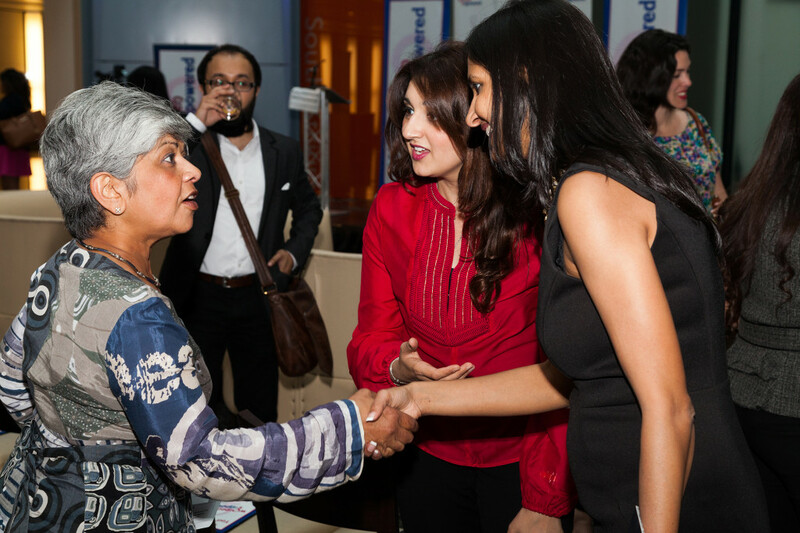 Special thanks was given to Sriram Sivasankaran for the pictures taken at the event and stall holders Raishma Islam of Raishma Ready to Wear, Preema Verma of Reesa Rocks, Parita of Uniflora and Sukhi Bhogal a Nikken Wellness Consultant. Mona Remtulla, co-founder of Women Empowered, closed the evenings proceedings by adding, “We hope that today will inspire you to harness your own inner media centre and through the journeys, advice and wisdom of Rupa, Farzana and Sunny, navigate your own way through the world wide web to make your own mark and have a voice that can be heard whether it is for a cause or your business” she went on to add that Women Empowered itself had seen the power of social media in highlighting causes and how one person really can have a voice that can be heard. 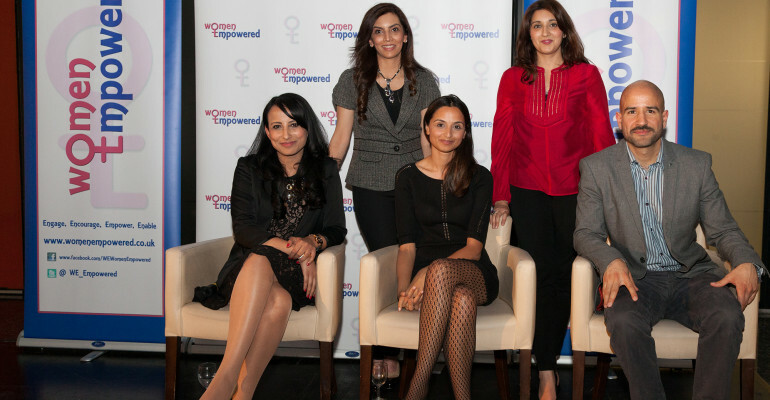 She referred to a campaign to engage more ethnic minority donors started online which had captured the imagination of the Women Empowered team to take action and organise a drive to register more donors from their guests at their last event. At each event Women Empowered tie up with an enabling partner to facilitate the change from an idea to bringing it to fruition and at this event again saw them partnering with EquityStake. Equity Stake is an investment company for the entrepreneur in the making. It has one simple aim – to help those with a great business idea but maybe no real entrepreneurial experience or background to grow a business. Hardeep Rai from EquityStake was keen to build on significant success from the last event.